An excellent documentary made by the Eurovision in 1997 just after Alexandra Kosteniuk became World Champion Girls Under-12. Interesting to note the name of the program "To become a Queen" as well as Alexandra's stated wish to become women's world chess champion. 11 years later, Alexandra became the 12th women's world chess champion and Chess Queen™. A morning TV show with special guest Chess Queen Alexandra Kosteniuk filmed during the chess promotion trip to Skopje in May 2011. Shots from the Simul played by Chess Queen Alexandra Kosteniuk in Skopje in May 2011 and portions of interview. A short interview and report clip from Russian TV 2 Russia, Vesti Sport, about Alexandra Kosteniuk's Culinary event for the Norwegian company Norge. Alexandra talked about the benefits of eating fish, taught kids how to prepare a dish with salmon, and played a chess simul while the food was in the oven. Camera Cafe Québec "Echec au Psy"
Women's world chess champion Alexandra Kosteniuk manages to beat seasoned male Grandmaster Alexey Korotylev in 19 moves, with the black pieces. 5- minute blitz game played at the 2009 Moscow Blitz Championship. Women's World Champion Alexandra Kosteniuk gives a 28 minute chess lesson to the kids from the Mighty Pawns Chess Club. Filmed in Nashville in 2008. Recently crowned Women's World Champion Alexandra Kosteniuk explains why chess is a good game to be taught to chidren. In Russian. A 3-minute clip from French TV FR3 in May 2009 right after World Chess Champion Alexandra Kosteniuk beat French Champion Sophie Milliet 2 - 0 in their two-game rapid match, called "Le Match des Championnes", which took place in Porto-Vecchio, Corsica (called Corse in French). A clip from Canal 9 TV about Women's World Champion Alexandra Kosteniuk's visit to Martigny, Valais, Switzerland on April 25, 2009 for a 30-board simul. Alexandra scored 27 wins, 2 draws, and 1 loss against Gérald Darbellay. 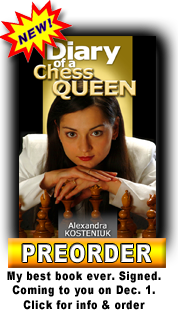 Chessqueen and current Women's World Champion Alexandra Kosteniuk gave an interview to Macauley Peterson in April 2009 right after finishing her 57-board chess simul at the Supernationals in Nashville, Tennessee. She achieved the superb result of 54 wins and only 3 draws. An interview of Pierre Meylan at a chess tournament in Geneva (Switzerland) about the qualification system for youth players. Video by Robert Fontaine, copyright Europe-Echecs. 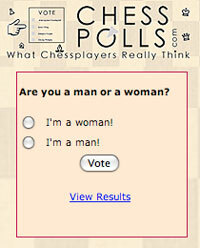 Chessqueen™ and Women's World Chess Champion Alexandra Kosteniuk was featured on national CBS TV on February 1, 2009. To watch this movie you need Quicktime, if you don't have it, you can watch the same movie on our sister site www.tubechess.com . Women's World Chess Champion Alexandra Kosteniuk was on National Fox TV in the popular program "Sunday Sports Xtra". A smaller flash version of this clip is available on the www.tubechess.com site. The story about how Alexandra Kosteniuk became the 12th Women World Champion in the history of chess. Takes place in September 2008 in Nalchik, Kabardino-Balkaria, Russia. Women's chess world champion Alexandra Kosteniuk comments her first game of the Final of the Blitz Competition at the 1st Mind Sports Games in Beijing, China. Grandmasters Alexandra Kosteniuk and Antoaneta Stefanova are playing in the Final and fighting for the Gold. The Final is in 2 Games + tie-break. A 2-minute Introduction of recently crowned Women's world chess champion Alexandra Kosteniuk. A news clip from the Russian 1st TV channel about the 2008 Beijing Mind Sport Games, filmed right after the Russian women's team won Gold in the chess blitz event. Team leader is World Champion Alexandra Kosteniuk (who a few days earlier won also Gold in the blitz individual event), Natalia Pogonina, Valentina Gunina and Irina Vasilevich. This is the weekly sports news TV program on Russian sports TV with commentator Dmitry Guberniev. He interviews freshly crowned Women World Chess Champion Alexandra Kosteniuk, after her return from Nalchik, where she beat China's Hou Yifan in the final of the World Chess Championship. A 4:15 minute clip from Russian TV news Vesti sport just after Grandmaster Alexandra Kosteniuk drew her fourth game against Hou Yifan at the Women World Chess Championship in Nalchik, Kabardino-Balkaria, Russia, on September 17, 2008 and became Women World Chess Champion (Russian). A 2:30 minute clip from Russian TV news Vesti sport just after Grandmaster Alexandra Kosteniuk drew her third game against Hou Yifan at the Women World Chess Championship in Nalchik, Kabardino-Balkaria, Russia, on September 16, 2008. This TV program from the Channel Russia Today was recorded just a week after Grandmaster Alexandra Kosteniuk became the 12th women world champion in history. An clip of the TV program Доброе утро (good morning) in which Alexandra Kosteniuk was invited on September 23, 2008 just after she became World Champion. A 2:45 minute clip from Russian TV news Vesti sport just after Grandmaster Alexandra Kosteniuk drew her second game against Hou Yifan at the Women World Chess Championship in Nalchik, Kabardino-Balkaria, Russia, on September 15, 2008. A 2 1/2 minute clip from Russian TV news Vesti sport just after Grandmaster Alexandra Kosteniuk won her first game against Hou Yifan at the Women World Chess Championship in Nalchik, Kabardino-Balkaria, Russia, on September 14, 2008. Grandmaster Alexandra Kosteniuk comments her rapid game from Mainz 2008 against Grandmaster Hracek. Grandmaster Alexandra Kosteniuk comments her rapid game from Mainz 2008 against Grandmaster Pavel Tregubov. This is a 24-minute movie of the Chess960 World Championship in Mainz, Germany, where Grandmaster Alexandra Kosteniuk defended her title against the challengers Kateryna Lahno, Viktorija Cmilyte and Natalia Zhukova. Listen to Alexandra comment her games. The file is very large (112 MB), so please be patient while it loads. If you run out of patience, you can try to watch it on www.tubechess.com (same movie i flash format) or also on www.youtube.com/chessqueen (shorter version of the movie in flash). An exclusive 1985 Interview of Anatoly Karpov where he speaks about computers presenting no danger to Grandmasters, and about Marxism Leninism. A wonderful cartoon about chess created by Pixar. If you'd like to own a copy you can buy it on the iTunes online store. A rare interview of Mikhail Tal on French TV in October 1985, while he was playing in the Montpellier Candidates Chess Tournament. GM Alexandra Kosteniuk comments her blitz game against GM Yuri Balashov at the 2008 Perm IMSA Cup (International Mind Sports Association). GM Alexandra Kosteniuk comments her blitz game against IM Vladislav Krapivin at the 2008 Perm IMSA Cup (International Mind Sports Association). Chess Grandmaster Alexandra Kosteniuk starred in the Russian Game Show "Kto Umnee 5-klassnika" which aired on the TV channel "CTC". This is PART 4 (of 4) of the lecture on the Ruy Lopez, by GM Alexandra Kosteniuk, given in the Marshall Chess Club on April 12, 2008. This section runs 15 minutes and covers the Chigorin variation, as well as an analysis of the game Thomas - Rubinstein. Please be patient, the movie is quite large (37 MB) and can take some moments to load. This is PART 3 (of 4) of the lecture on the Ruy Lopez, by GM Alexandra Kosteniuk, given in the Marshall Chess Club on April 12, 2008. This section runs 10 minutes and covers the Marshall Attack, as well as an analysis of the game Capablanca - Marshall. Please be patient, the movie is very large (26 MB) and can take some moments to load. This is PART 2 (of 4) of the lecture on the Ruy Lopez, by GM Alexandra Kosteniuk, given in the Marshall Chess Club on April 12, 2008. 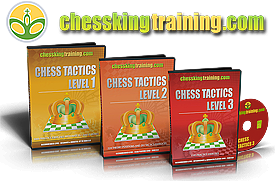 This section runs 27 minutes and covers the open variation, as well as an analysis of the game Smyslov - Reshevsky. Please be patient, the movie is very large (66MB) and can take some moments to load. This is PART 1 (of 4) of the lecture on the Ruy Lopez, by GM Alexandra Kosteniuk, given in the Marshall Chess Club on April 12, 2008. This section runs 26 minutes and covers the classical - Benelux variation, as well as an analysis of the game Kosteniuk - Onischuk. Please be patient, the movie is very large (63MB) and can take some moments to load. This is the INTRODUCTION to the Kosteniuk lecture on the Ruy Lopez, by Dr. Frank Brady, President of the Marshall Chess Club in New York. There are 4 parts to this lecture after the introduction. A 3-minute movie about GM Alexandra Kosteniuk's visit to New York in April 2008 and Simul at the Columbia University. Chess Grandmaster Alexandra Kosteniuk comments the Tandem chess game between GM's Ponomariov + Bareev against Kosteniuk + Skripchenko. A very rare and interesting event. Chess Grandmaster Alexandra Kosteniuk comments the game Aronian - Van Wely, Corus 2008. A short clip from the 2008 Corus Wijk aan Zee chess tournament in which GM Cheparinov refused to shake hands with GM Short. A Spanish comic playing Anatoly Karpov in an interview. Alexandra Kosteniuk comments in detail her blitz game played in Moscow against GM Maxim Dlugy of the USA. Alexandra Kosteniuk comments in detail her blitz game played in Moscow at the World Blitz Championships Qualifyers against one of the world's top experts on the Berlin Wall defense. This is a large file of 76 MB so please be patient. A 5-minute video report by Pufichek on the 2007 Villandry Chess and Music Festival, featuring Viktor Korchnoi, Laurent Fressinet, Almira Skripchenko and Alexandra Kosteniuk. The Philidor music is played by Natacha Kudritskaya. A 2 minute news report on France 3 TV about the Villandry 2007 Chess Festival. An 11 minute program on the French TV channel TV Tours where Grandmaster Alexandra Kosteniuk is interviewed about her participation in the 2007 Chess and Music Festival of the Chateau de Villandry. It is the first time Alexandra speaks French on TV. A funny ad by Pepsi featuring Garry Kasparov. The Final and Decisive Game of the GM tournament in Biel, Switzerland, 2007. The ending of this game was featured in the chess video podcast Chess Killer Tips Episode 14. A short news flash on the Russian TV NTV about Anand becoming 2007 World Chess Champion, taking the title away from Vladimir Kramnik. A 5 minute blitz game played in Gmunden (Austria) between Jackova and Alexandra Kosteniuk. Comments by Grandmaster Alexandra Kosteniuk. A very popular TV program on Russian TV called "Rozygrysh", where jokes are played on famous celebrities. This time a chess joke was played on Stanislav Govorukhin and Arkady Arkanov with the help of GM Alexandra Kosteniuk. This program is similar to Candid Camera in the U.S.
An excellent episode from the Cartoon Network animated television series Dexter's Laboratory about chess. Josh Gottsegen sent us his tale about 2 mystical characters playing chess. Director: Pudovkin, Genre: Silents, Released: 1925. The short 19-minute film, Chess Fever (Shakhmatnaya goryachka), finishes Kino Video's trio of Soviet silent classics with a delightful flourish. 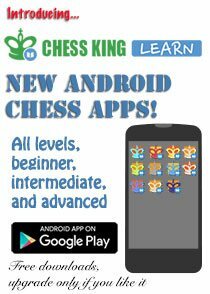 Chess enthusiasts will especially enjoy this little gem since it features actual footage from the 1925 Moscow international tournament with a number of legendary grandmasters: Richard Reti, Ernst Grunfeld, Carlos Torre, and Frank Marshall (former U.S. champion). But highlighting the silent is a crucial cameo role by one of the greatest world champions of all time, José Raul Capablanca! An excellent short movie about the most important chess match of the century - Garry Kasparov against Deep Blue. A humorous advertising for Altavista showing the legendary Chess Champion Garry Kasparov playing in a Simultaneous exhibition. An advertising for a chess club, filmed in a way similar to the famous Fight Club movie. A top hit music Video called White & Nerdy by Weird Al Yankovich, with a reference to chess. Note that the resemblance with Kramnik. You can read more about this video on Wikipedia's special page. Short news piece on Russia's NTV in January 2007 about the match London - Moscow with chess pieces made of ice. An animation with modern music showing what a chess battle looks like. A video made of several interviews, clips, and photos taken of great chess champion Bobby Fischer. 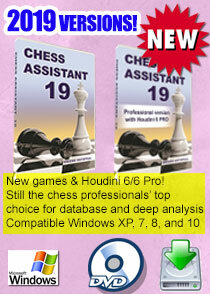 Includes photos of first chess world champions, and clips of the 1972 World Championship in Iceland. A famous music video by Murray Head called One Night in Bankok. The end of a blitz game Grischuk - Karpov during the Tal Memorial 2006. The game was won by Karpov. Filmed during the world chess championship in Iceland, where Bobby Fischer from the USA beat Boris Spassky from the Soviet Union. This is a blitz chess game played at the Cureglia (Switzerland) Blitz Marathon in June 2006 between GM Alexandra Kosteniuk and IM Alexander Belezky. A 6 minute interview of GM Alexandra Kosteniuk filmed in the Parc Monceau in Paris, where she speaks about her career and the movie she recently participated in. A 2006 Russian TV clip taken from the Program "Krasavitsy v Sporte" of about 1 minute with interview of GM Alexandra Kosteniuk while training in Zvenigorod, Russia. An Inspirational Message from Alexandra Kosteniuk "I would like to wish everybody to be happy, not to be afraid of having a challenging goal in life, because the more you try to get, the more you will likely achieve. Nothing in this life is trivial, it all depends on you, who you will become, and what you will have done." A preview of some scenes of the silver screen movie directed by Stanislav Govorukhin Bless the Woman in which Alexandra Kosteniuk took part, alongside with famous Russian actors Inna Churikova and Alexander Mikhailov. GM Alexandra Kosteniuk promoting the chess computer made by Excalibur Electronics called "Alexandra the Great" on the shopping network TV channel "Sunrise". GM Alexandra Kosteniuk promoting the chess computer made by Excalibur Electronics called "Alexandra the Great" on the shopping network TV channel "America Store". A silent fragment of the game Kosteniuk - Acs played in Wijk aan Zee. The game lasted close to 100 moves and was won by Kosteniuk. A video report about the visit of GM Alexandra Kosteniuk to Colombia in April 2005, invited by the company JGB makers of Tarrito Rojo to promote chess in Colombia. She visited the cities of Bogota, Cartagena and Cali and played several simuls, met with the President's wife, and was several times on TV and radio stations. A news piece about the visit of GM Alexandra Kosteniuk to Colombia in April 2005, invited by the company JGB makers of Tarrito Rojo to promote chess in Colombia. A superb 15-minute documentary program about the 12-year old Alexandra Kosteniuk after she won the U-12 World Title. An excellent 7 minute documentary about GM Alexandra Kosteniuk, filmed in Miami, Florida, in 2005. A Russian talk show in which Alexandra Kosteniuk and her father Konstantin were invited. Filmed in 2004. Short news piece on Russia's NTV December 2, 2006 about the match Kramnik - Fritz. A very popular morning program that aired on Colombian TV during the visit of Alexandra Kosteniuk to Bogota. A TV piece that aired just after the Simul given by GM Alexandra Kosteniuk to VIP's and guests to inaugurate the 2006 Torino Chess Olympiads. Alexandra was named the godmother of the Olympiads. This short film shows the wonderful World Chess Hall of Fame and Sidney Samole Chess Museum in Miami, Florida. It definitely deserves a visit. This short TV clip was made about GM Alexandra Kosteniuk playing in Biel, Switzerland, in 2003. A program that aired on the Deutsche Welle TV station in English in 2004, after GM Alexandra Kosteniuk visited the town of Groningen, Holland. Short news piece on Russia's NTV November 30, 2006 about the match Kramnik - Fritz. A short TV newspiece in Dutch about Alexandra Kosteniuk's visit to Ostende in 2002 for a simul. This is the 30 second TV spot that was aired thousands of times on Russian TV and that put chess at the forefront, and added quite a bit to Alexandra Kosteniuk's popularity. It was accompanied by thousands of billboards and busses all over Russia with ads for LG portable computers, recommended by chess champion Alexandra Kosteniuk. The first time Alexandra Kosteniuk was featured on CNN, in 2002, just after she became women's world champion runner-up. A short exerpt of a game in which GM Walter Browne is playing chess against GM Alexandra Kosteniuk. A short newspiece on the match Kramnik - Fritz. This is a recording of the late-night program that aired in Bogota, Colombia, during Alexandra's visit there, in April 2005. This sad movie was made by Alexandra on the day her cat died. This is a short interview of GM Alexandra Kosteniuk on CNN. This short clip is taken from the Swiss French television news, it is about the visit of Grandmaster Alexandra Kosteniuk in Sierre, Switzerland. 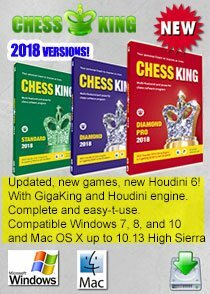 Interviews of chess masters Volokitin, Koneru, Sebag, Karjakin, Kosteniuk, Fressinet, Zhao Xue, Negi, Vachier-Lagrave, Stefanova, Radjabov, Bacrot, Karpov, and Carlsen. 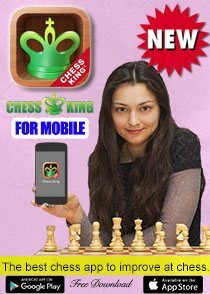 Interviews of chess masters Volokitin, Sebag, Karjakin, Kosteniuk, Fressinet, Zhao Xue, Negi, Vachier-Lagrave, Stefanova, Radjabov, Bacrot, Karpov, and Carlsen. This is a 3 minute video of the wild ending of a blitz game between GM's Alexander Riazantsev (ELO 2622) and Alexandra Kosteniuk (ELO 2534). The game was drawn but the very speedy ending is quite fun to watch. A blitz game played between GM Alexandra Kosteniuk (ELO 2534) and GM Evgeniy Najer (ELO 2648) at the Tal Memorial Blitz in November 2006. A program aired in October 2006 about Alexandra Kosteniuk and her mother, in Russian. A blitz chess game GM Alexandra Kosteniuk (ELO 2534) won against GM Potkin (ELO 2580) at the 2006 Tal Memorial. The end of a chess blitz game played at the 2006 Tal Memorial. Alexandrov won after his last move ...Qxf2 with mate next move.